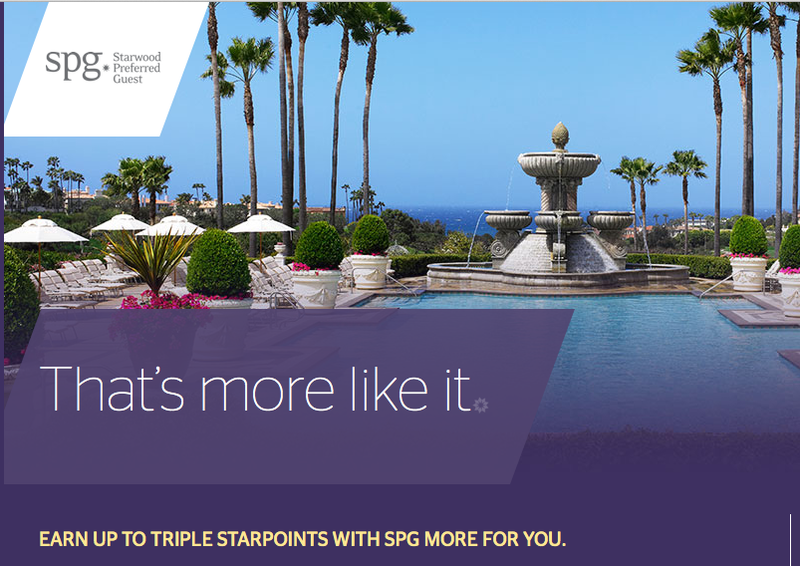 Starwood Preferred Guest has released their fall systemwide promotion. Earning a bonus with this offer compared to Earn Away Get Away is tougher since the bonus is awarded on stays of 2 or more nights instead of just 1 night. Similar to Earn Away Get Away is the weekend bonus, during the previous promo it was Triple Starpoints if that stay included a Sunday night, this time it is triple if it includes a Friday or Saturday night (Thursday or Friday in the Middle East) More For You Away is open for registration right away and that registration must be done by October 31st for stays until December 15th. Once again the promotion does have a list of properties not participating and that list can be found here. There are four properties in Canada not participating Sheraton Laval Hotel, Sheraton on the Falls Hotel, the Westin Edmonton, and The Westin Prince, Toronto.